A look at where you can get the Hidden Tooth and what it's used for in Sekiro: Shadows Die Twice. In Sekiro: Shadows Die Twice, players have the ability to acquire unique items including the Hidden Tooth. Unlike some of the other items in Sekiro, the Hidden Tooth is unique in that it can be used to initiate a death sequence without having to be smacked around by enemies. Wondering why this is available in Sekiro and how to get a Hidden Tooth to try it out for yourself? We’ve got you covered! Below, we’ve put together a quick guide explaining how you can get the Hidden Tooth in Sekiro: Shadows Die Twice. The Hidden Tooth can be acquired by killing Hanbei in Sekiro: Shadows Die Twice. The Hidden Tooth can be acquired by visiting the Dilapidated Temple in Sekiro: Shadows Die Twice. However, before you head off to the Dilapidated Temple, you’ll first need to unlock the Mortal Blade. To unlock the Mortal Blade, be sure to check out our previous guide on the subject. With the Mortal Blade unlocked and in your possession, you can travel to the Dilapidated Temple. Inside the Dilapidated Temple, interact with an NPC named Hanbei. As you learn more about Hanbei’s plight, you’ll be tasked with helping him die. To do this, you must defeat Hanbei in combat. By defeating Hanbei, you’ll receive the Hidden Tooth as a reward. With the Hidden Tooth, you can use it to kill Sekiro whenever you feel the need. Unlike dying in combat, using the Hidden Tooth to die is useful in that you’ll have a longer period of resurrection. As such, you’ll be able to regroup during a difficult fight, and even get a few attacks in before the enemy notices you. You can also get your second resurrection up without having to wait as long as you would when dying organically. 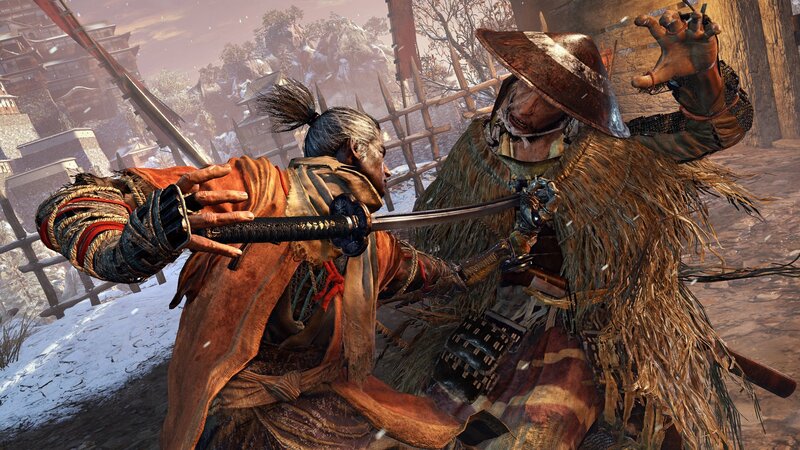 While we don’t recommend using the Hidden Tooth as a strategy, as death has consequences in Sekiro, it can be a useful tool if you’re struggling through a boss fight and have exhausted all other options. For a visual look at how to get the Hidden Tooth, check out the video down below courtesy of YouTube user Mark's Reviews. Now that you know where to find the Hidden Tooth in Sekiro: Shadows Die Twice, be sure to check out some of our previous guides including where to find the Loaded Umbrella in Sekiro: Shadows Die Twice, how to farm for Sen in Sekiro: Shadows Die Twice, and where to get Truly Precious Bait in Sekiro: Shadows Die Twice.